Ilhan Omar, “unequivocally” apologized Monday after suggesting US support for Israel is fueled by money from a pro-Israel lobby group. The Minnesota freshman, one of the first two Muslim women in the US Congress, has faced criticism for weeks over her positions on the Jewish state, but it boiled over late Sunday after she reacted to a Republican critic in a tweet. When a user asked who Omar believes is paying US politicians to support Israel, the former Somali refugee tweeted a one-word response, “AIPAC!” referring to the American Israel Public Affairs Committee. The exchanges triggered an uproar, with House Speaker Nancy Pelosi castigating Omar and demanding an “immediate” apology for using “anti-Semitic tropes” in her tweet, and several Democrats and Republicans assailing their colleague for her language. Member Services for WTX Readers, get a special discounted medical for 2019 when you sign up. “We have to always be willing to step back and think through criticism, just as I expect people to hear me when others attack me for my identity,” she said. Liz Cheney, a top Republican in the House of Representatives, urged Democratic leaders to remove Omar from the committee. 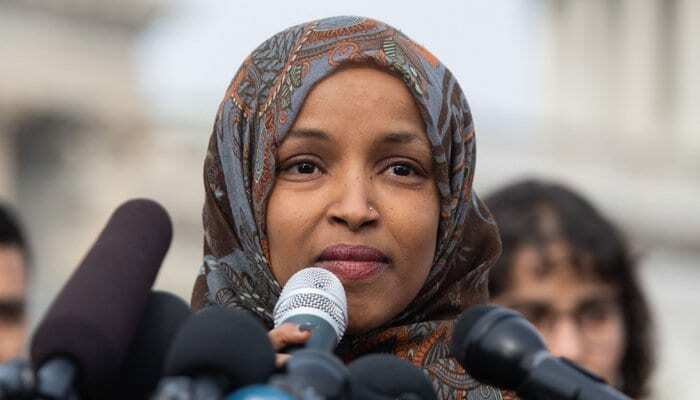 Omar and fellow Muslim congressional freshman Rashida Tlaib’s support for the Israeli boycott has opened a breach in the Democratic Party and threatens to create a fissure in the ironclad US-Israeli alliance.